I’m so excited to announce fellow Indelible Leigh T. Moore’s new book, The Truth About Letting Go. 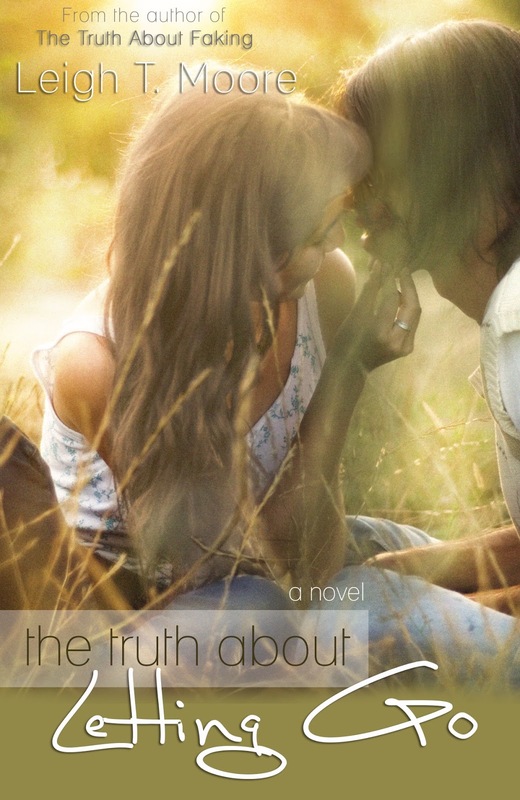 I reviewed (and LOVED) her first book The Truth About Faking, and was lucky enough to beta read The Truth About Letting Go – it’s a wonderful follow-on novel that I loved just a much as the first (it’s not a true sequel, because it’s in a different POV, but it has all the great Southern setting and characters that made me fall in love with the first book). A companion to The Truth About Faking (not a sequel; the books can be read out of order), The Truth About Letting Go (link) takes readers back to Shadow Falls, or more specifically Shadow Creek, with Ashley Lockett as she learns about real friendship, love, and letting go. Ashley wants to smash everything in her once-perfect life. Charlotte wants to walk in Ashley’s seemingly charmed shoes. Colt wants to turn Smalltown USA on its ear–with Ashley at his side. Jordan wants to follow his heart… but Ashley is the one sacrifice he never expected to make. Up until now, Ashley Lockett has always followed the rules. She’s always done the right thing, played it safe, and then her ideal life is shattered when her dad dies suddenly. Fueled by anger and grief, she vows to do everything opposite of how she lived before. She rejects safety, the rules, faith, and then she meets Jordan. Jordan has big dreams, he’s had a crush on Ashley for years, he’s a great kisser… but he’s also safe. Enter Colt. He is not safe, and he’s more than willing to help Ashley fulfill her vow. I feel Colt laugh, and he looks down into my face. That’s when he seems to realize what I’ve been acutely aware of for the last several minutes—our bodies are pressed together. I’m not sure if he’s going to kiss me until he does. His mouth covers mine, and energy mixes with the alcohol flooding my body. Our tongues slide together, and I grip his shirt so I don’t collapse. Every single bit of this is wrong, and there’s no way I’m stopping it. It’s back, that good feeling. The sadness has been pushed out again, and in its place is this rush, this rush of adrenaline like Colt said. 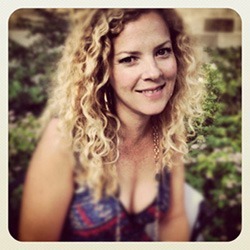 Leigh Talbert Moore is a wife and mom by day, a writer by day, a reader by day, a former journalist and editor, a chocoholic, a caffeine addict, a lover of YA and new adult romance (really any great love story), a beach bum, and occasionally she sleeps. –Rouge is her first New Adult romantic suspense novel (on Amazon). Leigh loves hearing from readers; stop by and say hello! Click here for the FULL ROSTER. The conference is a mixture of posts and chats; here’s a post on how the conference works. YAY! for Leigh. I can't wait to read this one. 🙂 She's done an amazing job being patient with her writing, being persistent in the industry, and now promoting herself and her stories. Inspiring! Go, LTM!!! I saw your book on Laura's blog too. ;D LOVE the cover. If I know it's by Leigh, I might consider reading a kissy kissy book.